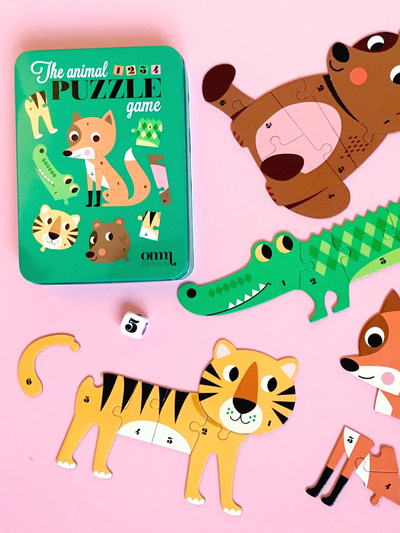 Includes 4 cardboard puzzles and a dice with printed numbers. Illustrations by Ingela P Arrhenius. Box size 18 x 13 x 3,5 cm.